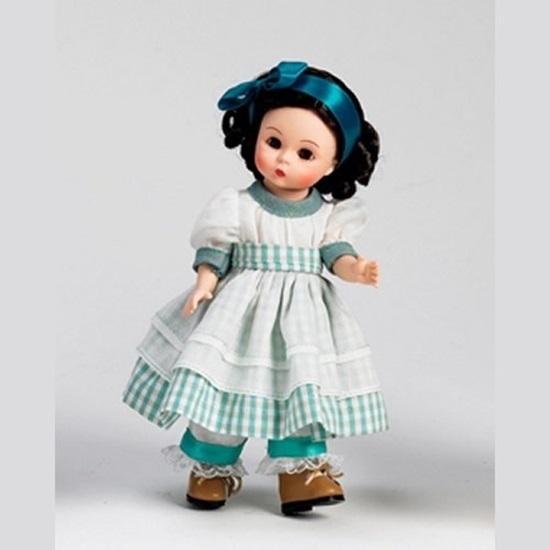 From the Little Women Collection, this 8 inch Meg wears a tan and aqua blue checked dress with white cap sleeves and pantaloons trimmed with ribbon. A white apron covers the dress. She has brunette curly hair tied with an aqua blue ribbon, and brown eyes. Meg is the second oldest of the sisters. Perfect for ages 14 and up.